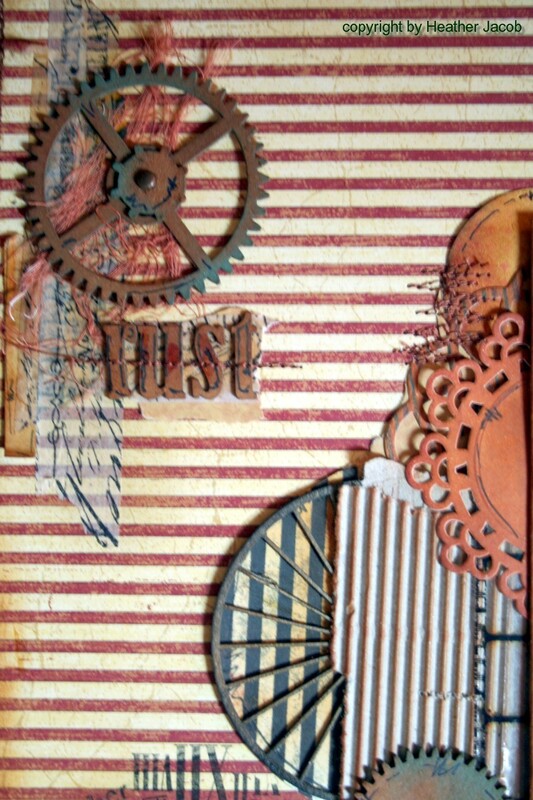 the chippies are IMAGINARIUM DESIGNS ... click HERE to be inspired. hope your day is full of fun and ART ..
Glad to see you are back on air Heather. Gtrat layout. 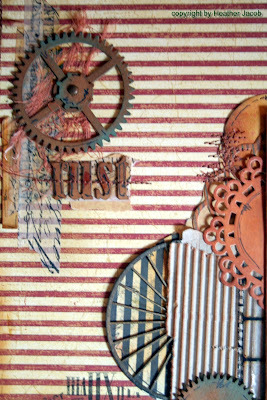 Your work is gorgeous, as usual, love the textures & colours. I've never been so happy to be here!!!! So happy for you!!!!!! What disgraceful behaviour by Blogger - grrrrrr!!!!!! Now remember what I told you - go into your Settings & back up your blog (click where it says EXPORT) & save it to your hard-drive once a week!!! - that way if you have a crisis all can be restored. (except sidebar stuff I think...) also e mail a copy of your posts to yourself & save on your e mail then ensure you back up your documents onto an external hard-drive as well as your C drive (same with the blog) so that you have as much as possible - and do it regularly) just in case some bright spark decides to obliterate all your years of hard-work again!!!! As for the Rush - well it has certainly never looked as beautiful as it does today my friend! Hope you are CELEBRATING!!!! Fabulous Heather you are back!!!!!! You layout is fabulous full of gorgeous stitching!! And do everything that Helen says i think I will do the same too!!!!! So gorgeous, Heather! So happy they gave your blog back to you. Would've been such a shame to lose all these beautiful posts. The textures are amazing on here. That photo is fabulous, and you've found the perfect elements to showcase it. Gorgeous design! LOVE the colour scheme and texture in your layout, Heather! This is so awesome!! Wow, fabulous pic. Love that your layout compliments the photo perfectly, and all your elements support your theme so well. Great layout..
Hi Heather, sorry to hear about your blogger problem, but glad it got sorted out. 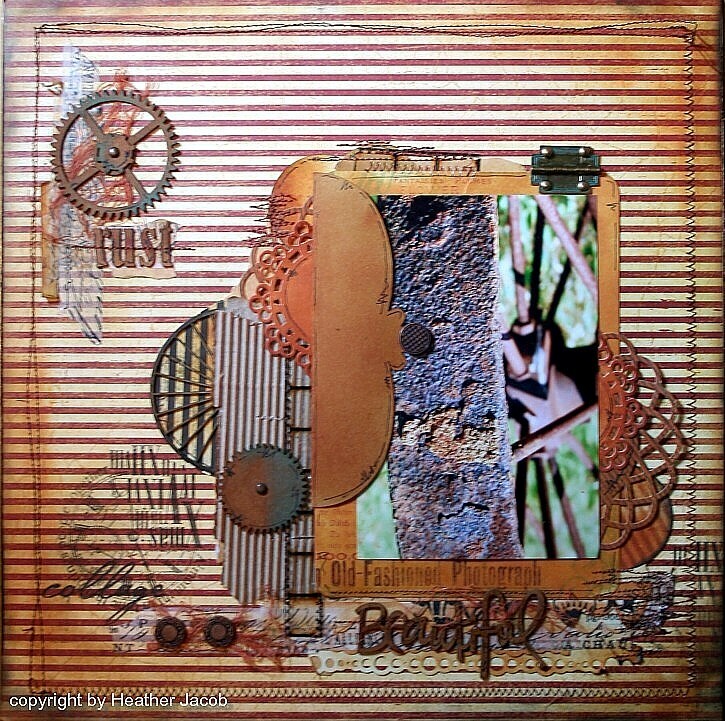 I guess we both have the love for rusty metall, You will next time you visit my blog :-))) Love the colors of course, and your fab. stitching , wishing you a beautiful day!